Elizabeth is currently a senior at Huron High School where she avidly pursues classes in mathematics, science, and English. After class, Elizabeth tries to give back to the community through several volunteering organizations and serves on the board for her school's National Honor Society and Key Club. Despite her lack of musicality, she also plays for Huron's orchestra and marches with the band as part of the color guard. When not doing homework on the weekends, Elizabeth enjoys finding new music to listen to and spending time with friends. During the school year, Elizabeth enjoys running and playing softball and is excited to be one of the cross country captains this year. Outside of Huron's athletic department, she can be found playing football and soccer with her brother, paddleboarding, and scuba diving. Elizabeth is both excited and nervous about the college application process but ultimately looks forward to seeing what the world has to offer. 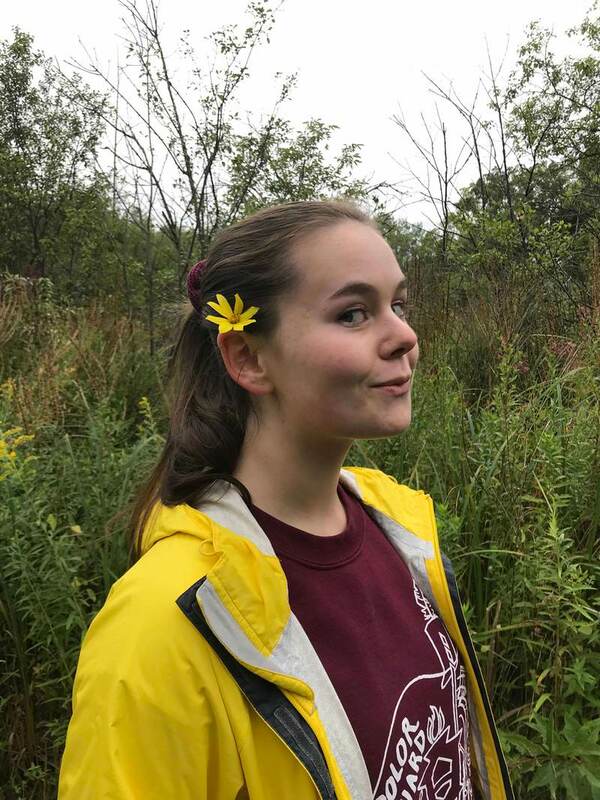 She has a passion for both nature and cars that have inspired her to attempt to combine the two fields and develop alternative fuel sources as a career, likely studying chemical or mechanical engineering in college.